It takes a while to update a website, and today I’m ‘unwrapping’ a whole re-vamp of the Gallery section. All the pictures are larger, several new images are making their first appearance, and older favorites have been re-processed to be sharper and larger. I’m now using a 5K (5120x2880 pixels) 27-inch monitor and have really noticed how much the quality of the images matters. 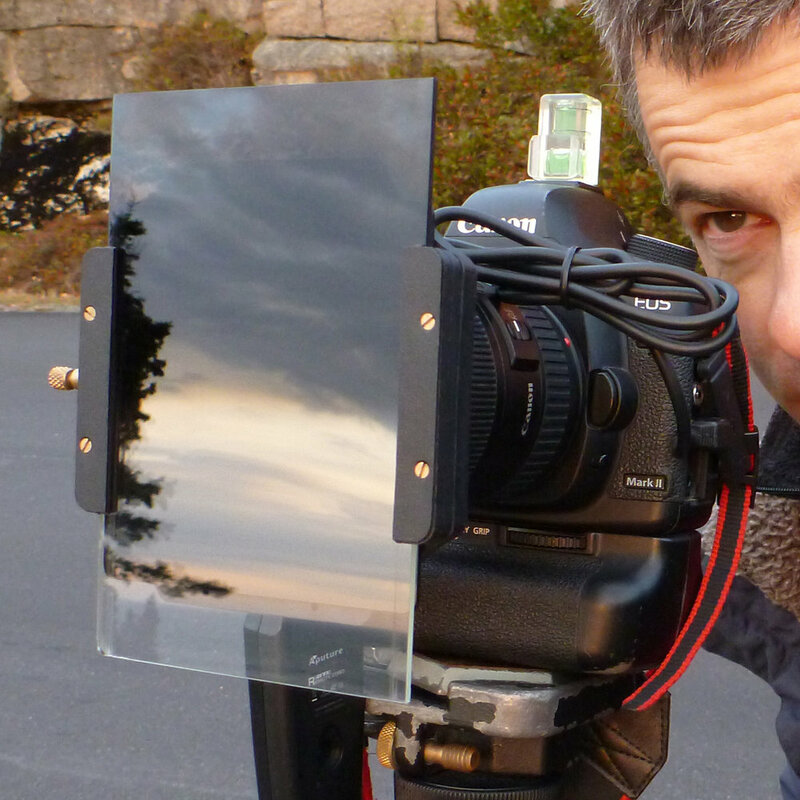 The previous gallery images were 900 pixels wide and are now 1500 pixels wide, with panoramas being 2500 pixels. The result is a collection of images that are bigger, sharper and higher quality, with more detail on display than ever before. Visit the new galleries at this link. 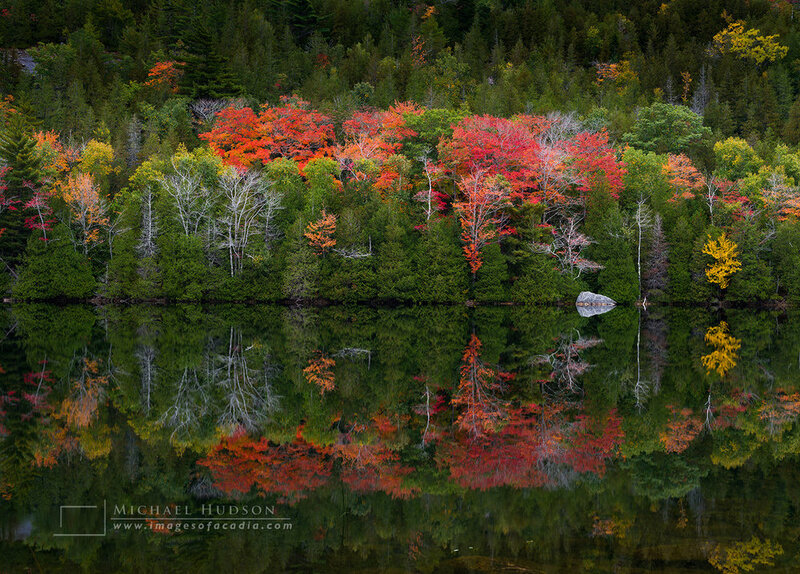 I remember visiting Bubble Pond on my first trip to Acadia in October 2006. Everything was new to me back then and I took a few pictures on my first morning out, but they’re nothing to look at now. Over the years, I visited Bubble Pond from time to time, but I never saw anything worth photographing. 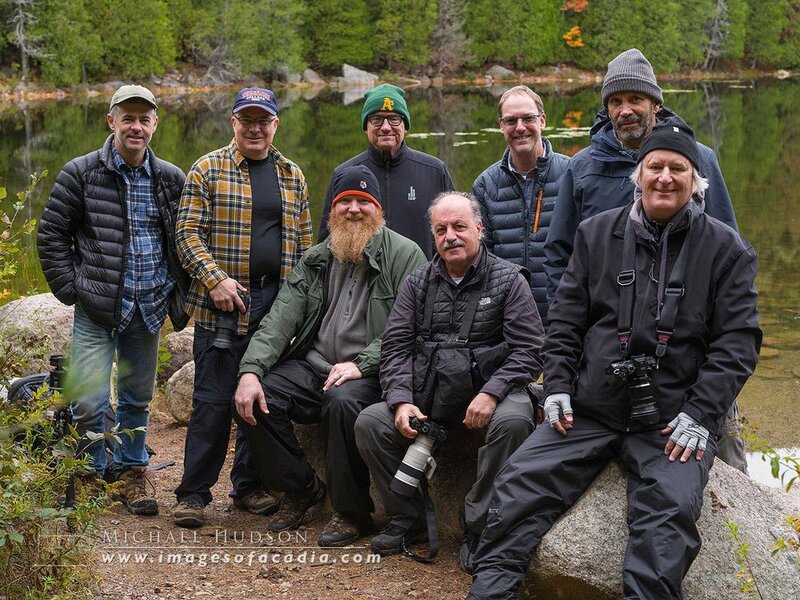 Fast forward to last October (2018) when I brought my workshop group to Bubble Pond. It was a very still morning and the pond was mirror-like; the reflections in the water were just stunning. Although I’d only planned on spending a few minutes there, we kept shooting for over an hour and half. The feeling of peace and serenity was overwhelming. I focused mainly on the flecks of foliage sprinkled among the evergreens, which were then reflected in the silent waters. It seemed like everywhere we pointed our cameras, the compositions kept getting better and better. I made a series of panoramic images, as well as these more conventional compositions. A few days later, after the workshop was over, I visited Bubble Pond again, but this time, the water was choppy, some of the colorful leaves had fallen and the atmosphere was completely different. 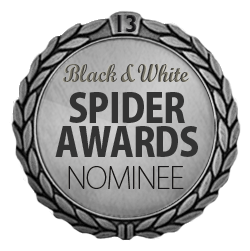 Today, only ten minutes ago, I found out that one of my images had been nominated in the 13th annual Black and White Spider Awards. 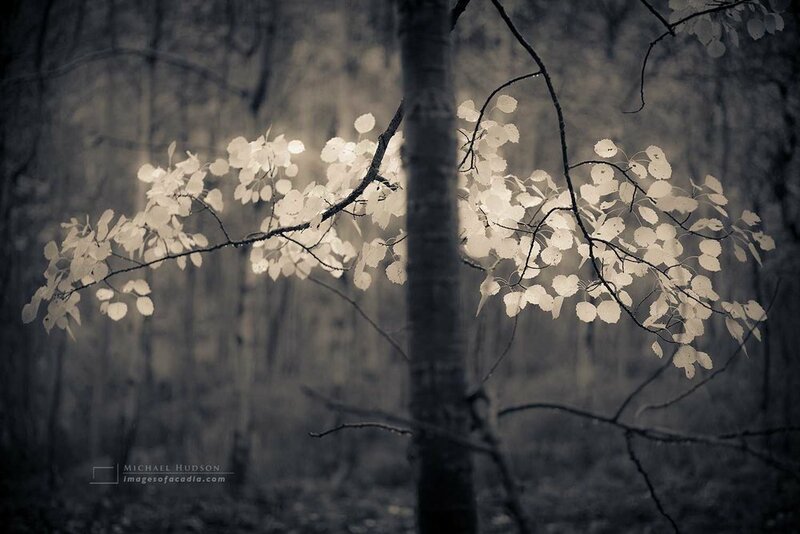 Over 6,400 entries were received from photographers in 77 countries. This is the third time I’ve been nominated or won in the Spider Awards. View my winning entry here. 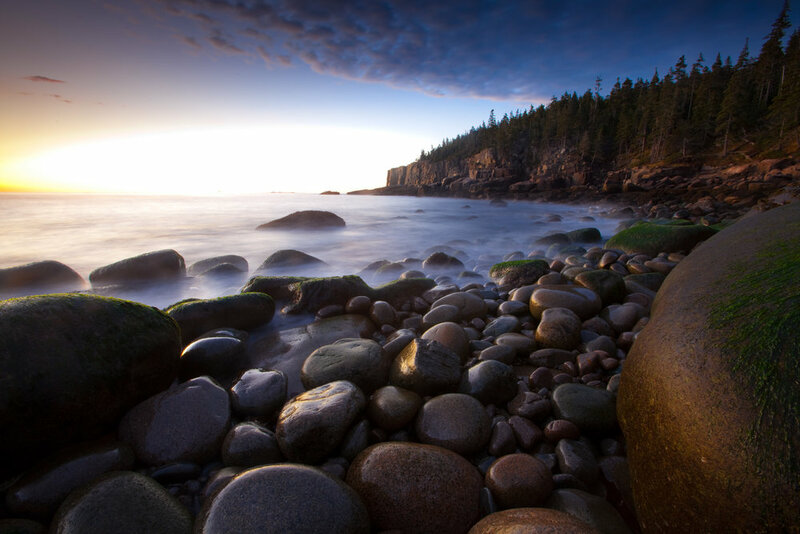 The winning image is one of my favorites from Acadia. I titled it, “Monster Wave” and it was taken on Schoodic Point in 2016. Read more about my experience photographing waves here at this link. 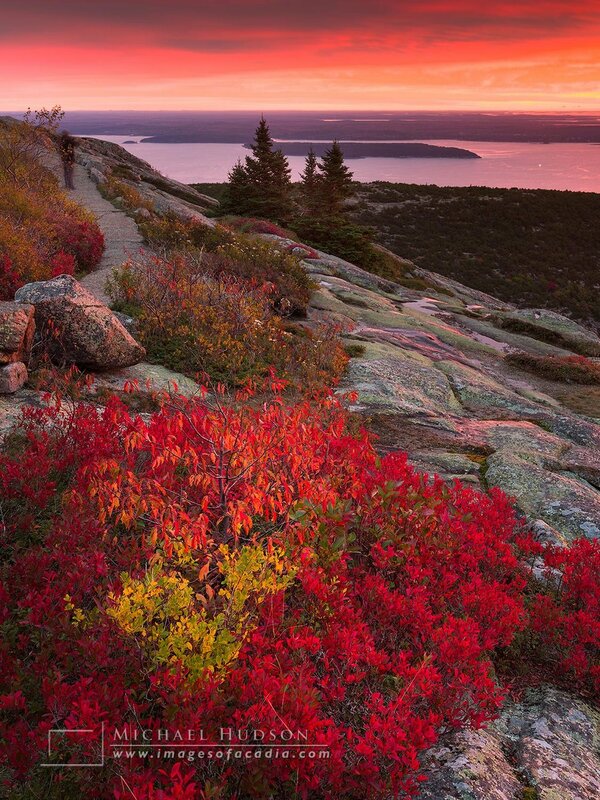 Last month, over ten years of planning finally paid off when eight photographers joined me for several days of photographing the foliage and coastline in Acadia National Park. In the group, we had a Scotsman, a Mexican, and an Australian, and travelers from Louisiana, Alabama, Massachusetts, Minnesota, California and Missouri. Our photography experiences ranged from a professional architectural photographer to advanced amateurs; some had travelled extensively to take pictures and for some, it was their first time doing a trip like this. The workshop started off well, with a sunset trip to Jordan Pond. Although we didn’t have any nice skies to shoot, we did photograph the beautiful reflections of the foliage lining the shores of the pond in the soft overcast light of the cloudy sky. And we were fortunate to have still waters, so we could see all the way to the bottom of the more shallow parts of the pond and see the submerged boulders under the water. The next day, we all met up at 5:15am and headed for the coast in the hopes that the skies would clear and we’d be blessed with a beautiful sunrise. Alas, it was not to be and instead we waited in a light rain. But as I told everyone, a bad day in Acadia is often better than some of your best days in an office, so instead of planning for puffy pink and orange clouds at sunrise, we changed our mindset to black and white, to see if we could photograph some of the drama of a bleak, but moody daybreak on the coast. 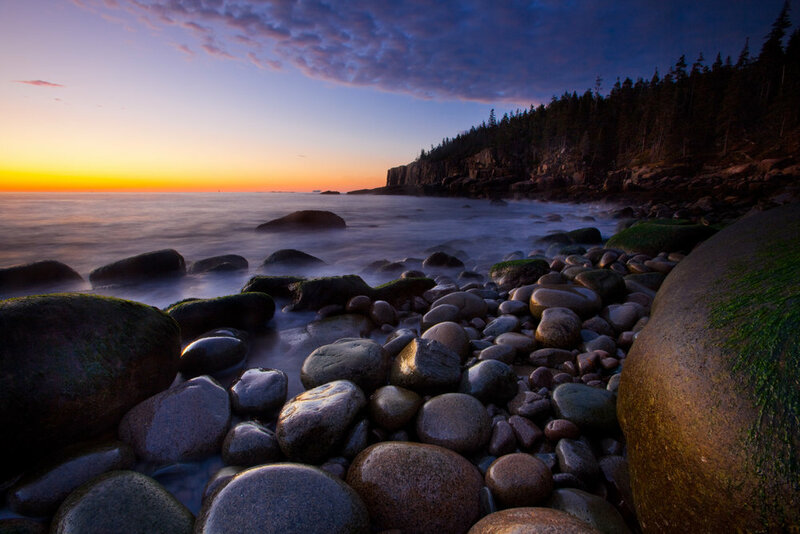 Slow shutter speeds brought out some of the rich, silky smooth waves that poured over the rocks at Boulder Beach. Next we visited one of my favorite spots, near the Kane Path and Canon Brook trails to photograph a still, small pond in the mist. The sky was still overcast but the colors and reflections were fantastic. The rain continued for most of the first day, so we used some of that time to talk about Lightroom and Photoshop how to process digital pictures. By mid afternoon, I was getting cabin fever so a small group of us trekked out to Jordan Stream and hiked down to Cobblestone Bridge for some photos. The next morning brought more of the same overcast skies, though thankfully, not the rain of the previous day. But that’s all part of being a landscape photographer– you learn to make the most of whatever weather conditions you’re dealt with. After all, you can’t change the weather, so you photograph its strengths. On the way back from the coast to the hotel for breakfast, we spotted a stunning line of maples at their peak. Literally, we could’ve just stayed in the van and photographed them without stepping outside, they were right alongside the road and very easy to photograph. I’m not sure if we saw any more intense colors than that for the rest of the trip. The next few days were filled with plenty of color- but not much sunshine, though we did have a brief few seconds up on top of Cadillac Mountain, which was just enough to photograph some nice shots of the clouds lighting up and the wild blueberry bushes sparkling in the light before the cloud cover took over again (see picture at the top of this page). I think everyone enjoyed the chance to be some of the first ones to see the sunrise in the US that morning. 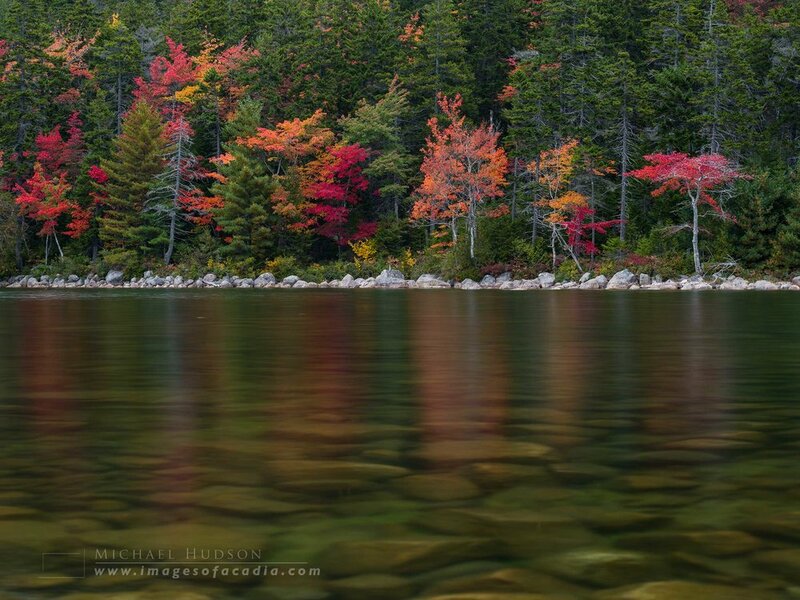 I think for me, my favorite images came from the time spent at Bubble Pond after we came down from Cadillac. The pond was completely still and the reflections were among the best I’d ever seen there or anywhere in the park. Sprinkled among the dark green evergreens along the shoreline were splashes of reds, yellows and oranges, which were also mirrored in the water below. I could’ve stayed for several more hours, but we had other places to visit. I didn’t plan on being there for more than fifteen minutes, but surprisingly, we stayed for over an hour and a half. Our final morning saw us back at the coast, where we did have full sun, but few clouds. But we made some nice images of the coastal granite lighting up orange and pink, then made our way over the to Tarn for our last excursion, to see the side of Door Mountain lit up in the reflections among the reeds. As an added bonus, we had hundreds of runners jog past us, as the Tarn is along the course of the annual Mount Desert Island marathon, said to be one of the most beautiful courses in the country. Still, we were surprised when some of the runners, in all seriousness, asked us what we were taking pictures of, and how come we weren’t photographing them? Perhaps they didn’t realize that their route skirted alongside one of the most beautiful national parks? Judging by how many people asked me to let them know about the 2019 workshop, I think it’s safe to say everyone went home happy with their time in Acadia. Sure the rain was a bit of a damper on photography, but like I said earlier, in landscape photography, you deal with whatever conditions you’re given and I think we did just that. If you’re interested in joining me next year, send me a message and I’ll make sure you’re notified when registration opens up. This is the picture that almost got away. In color, I didn't think much of this image and almost deleted it, but I worked with it for about an hour, converting it to black-and-white, then making it into a duotone, and adjusting the contrast. I like the results so much, I put it in my book, Under October Skies. More than one person has told me this is their favorite picture of mine. And just yesterday I sold another print of this through Artemis Gallery (@artemisgalleryme) in Northeast Harbor, the second print of this image they've sold. I think this picture also proves the point that autumn foliage doesn't always have to be photographed in bright, blazing color. I wrote about this image a year ago- click here to learn more about the prices involved in creating it.